Each summer, select K-12 science teachers from New Jersey become the students as part of the QUEST program run by Princeton University’s Program in Teacher Preparation. The teachers spend a week with university-level researchers in the lab experimenting, or in the field observing and collecting evidence for self-designed research projects. And the point is to always ask questions. Learn more about the QUEST program to better science teaching. Princeton University offers many opportunities for teachers and scientists to collaborate. As a part of their program, Princeton University provides research and educational experiences for those interested in the science teaching profession. Princeton University in New Jersey has put together a team to study aspects of nature following the destructive force of big storms. 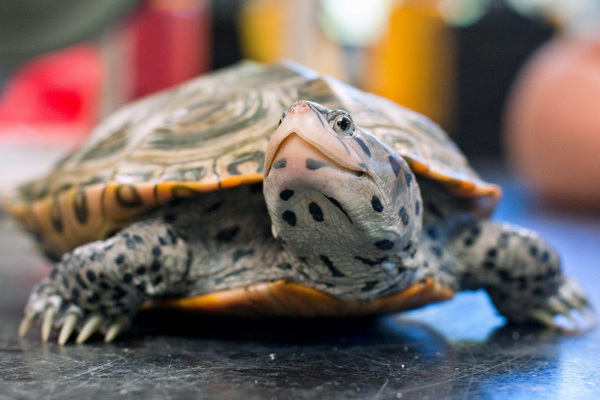 This research project: NJ Teachers Investigate Terrapins’ Storm-Modified Habitat. How Teachers and Scientists Working Together Answers Questions about Turtle Nesting Ecology while Enhancing Teachers’ Inquiry Skills. Providing rigorous academic supplement to a professional development program for teachers, QUEST is a fusion of Drexel University’s environmental science research department with Princeton University’s Program in Teacher Preparation. Completed in the summers of 2012 (in partnership with Earthwatch) and 2013 in Barnegat Bay, New Jersey, QUEST’s terrapin field research program enhances K-12 teachers’ ecological knowledge, develops inquiry-based thinking in the classroom, and builds citizen science engagement. With a focus on quality question development and data analysis to answer questions, teachers are coached in developing, implementing, and presenting independent research projects on diamondback terrapin nesting ecology. As a result, teachers participating in QUEST’s week long program bring a realistic example of science in action into their classrooms, helping to develop their own students’ critical thinking skills. For teachers, this program provides training towards educating students on how to do real and imaginative science – subsequently sending students to university better prepared to engage in their own independent research. An essential component of the collaboration through QUEST, in addition to the teacher’s experience during and after the summer institute, is the research data collected which supplements that of the Principal Investigator. In 2012, by documenting terrapin nest site predators, teachers gained valuable scientific experience, while Drexel acquired important ecological data which would have not been able to be collected otherwise. In 2013, teachers helped answer important questions about terrapin nesting success post Superstorm Sandy. In fact, the 2013 QUEST teachers are the first to visualize the frighteningly increased erosion of a primary terrapin nesting site due to Sandy; showing how most terrapin nests now lie in the bay, instead of safe on shore. Teachers comment that interacting with scientists in the field, and contributing to the research was “an invaluable experience.” Conceptual models of QUEST’s philosophy will be distributed at our presentation to encourage audience members interested in starting their own field-based educator professional development project. Through our presentation of this unique program, we will share how we have successfully incorporated real scientific research into classrooms through teachers’ experiences, and discuss the lessons learned regarding replication and sustainability of educator-scientist collaborations.